What few people know is that Inca Trail permits do not go on sale for that year until that year begins. In other words, all Inca Trail permits for 2015 are not available until January 1st, 2015. But, you can pre-book with Knowmad and similar companies; we put the request in a cue and when January 1st rolls around you will be issued a permit. This system however has the result that within the first few weeks of January it is quite possible that in demand dates for late April and May, for example, will begin selling out. So if you want to book the Inca Trail in 2015, it’s best to avoid hassle and stress and to get your trip planned and booked in 2014. 1) How can I purchase an Inca Trail permit? 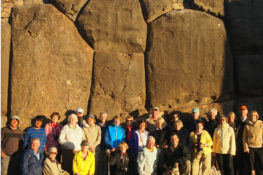 Private individuals are not authorized to purchase Inca Trail permits themselves, nor are they allowed on the trail without a licensed Inca Trail operator. 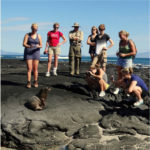 This means you need to contact a travel coordinator like Knowmad Adventures. 2) How can I check for availability of Inca Trail permits? If you would like to purchase permits to visit Machu Picchu but not to hike the trail, or to purchase permits to hike the adjacent sacred peak of Huayna Picchu on your day visiting Machu Picchu, you can do so on this website. I strongly recommend booking Huayna Picchu permits before traveling to Peru as these days they also sell out a fair amount in advance. This generally comes as a frustrating shock to people as guidebook’s information on this issue is often out of date. It is a recent development that Huayna Picchu and Machu Picchu Mountain have become permit controlled. 3) How many permits are available daily? At present (November 2015) 500 permits are available daily. This is misleading however, as this number includes porters, cook staff, and guides. As it is both unethical and illegal for porters to carry excessive loads – and this is now closely monitored so that all companies comply – quality Inca Trail expeditions routinely have around a 2:1 staff to traveler ratio. This means there are about 170 permits available for travelers on any given day. 4) So how far in advance do I need to buy my Inca Trail permit? There is no hard and fast rule, as different times of year have different demand and sell out at different speeds, however my rule of thumb for 2015 is if you want to avoid any chance of missing the bus then have your permits purchased 5 months in advance. 5) Do I need a permit to hike one day on the Inca Trail? 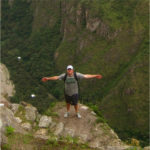 Many companies such as Knowmad Adventures offer a one day hike on the Inca Trail. This hike is the trail arriving to Inti Punku, the Sun Gate, before descending past Machu Picchu and then returning for a full day visit the following day. Often this is referred to as the “Inca Trail Express”. For this, or for any hike where you will step foot on what traditionally is known as the Inca Trail (or the Royal Inca Trail) you will need the complete Inca Trail permit. In other words, even if you want to just experience a taste of the Inca Trail day you still need to approach planning your trip the same way. 6) Is there a way to hike the Inca Trail without a permit or with a guided outfitter? No, thankfully there is not. It is imperative to the future of both the trail and the Sacred Citadel of Machu Picchu, as well as to the vitality of travel in Peru and the economic benefits reaped from it, that the government continue diligently monitoring the flow of people to Machu Picchu. There are however many other trails in Peru that make for excellent multi-day hikes that either do not require permits or that have less demand for permits. These are commonly referred to as ‘alternative Inca Trails’. For clarities sake though, it should be mentioned that in none of these will you actually be on a trail that you are allowed to hike on all the way to Machu Picchu. 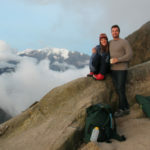 I absolutely love the Salkantay trail as well as the trail to Choquequirao, however it is untruthful marketing and, in my opinion, entirely unethical and dishonest to market these trails in a coy fashion and lead people to think they are booking the Inca Trail. I highly recommend for serious hikers to consider Salkantay, Choquequirao, Ausangate, or others, but caution the unsuspecting to scrutinize what they are booking if having been told permits are sold out for the Inca Trail and then another company tells you they can offer it to you. The Inca Trail to Machu Picchu as well as myriad other hikes in Peru can be as breathtaking as they can be transformative. If you’d like to lose yourself in the clouds of the Andes emerging at Machu Picchu, just be sure you’re planning ahead so that you can make your dream into reality. Find out how the altitude on the Inca Trail will affect you, how to hike away from the crowds, what equipment you need on the trail, and more answers to frequently asked questions about hiking Inca Trail on our Peru FAQs page.